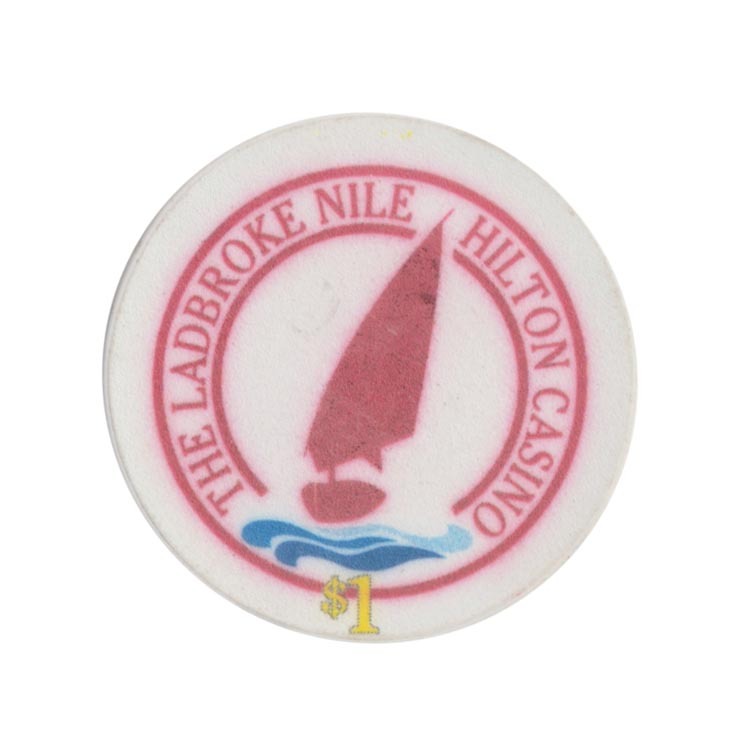 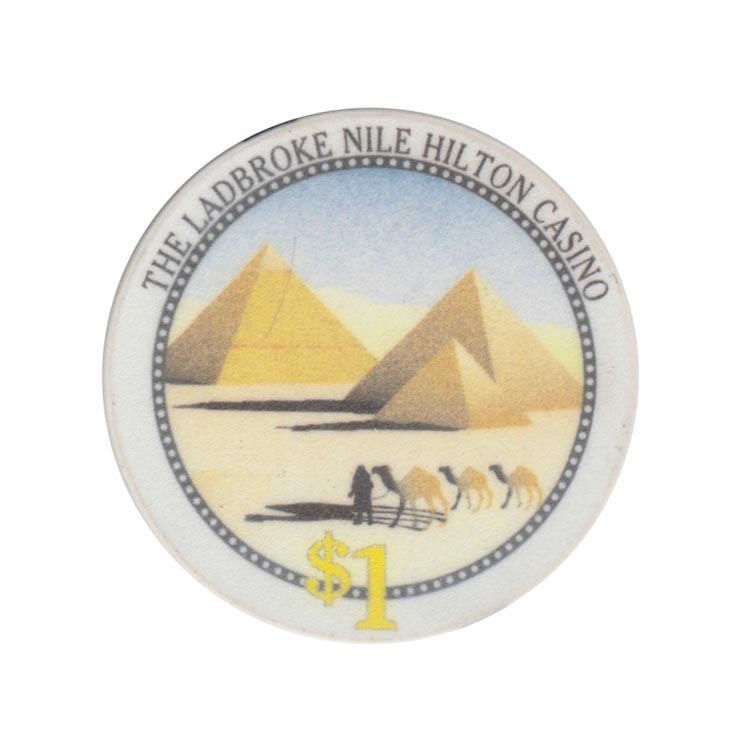 This chip is from The Ladbroke Nile Hilton Casino in Cairo, Egypt. 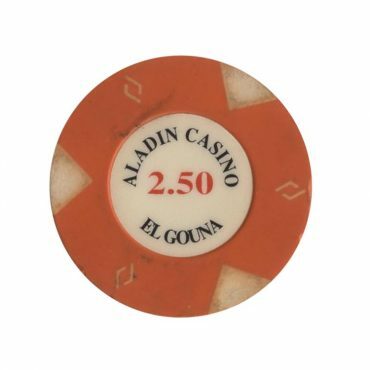 This chip is from Aladin casino in El Gouna, Egypt. 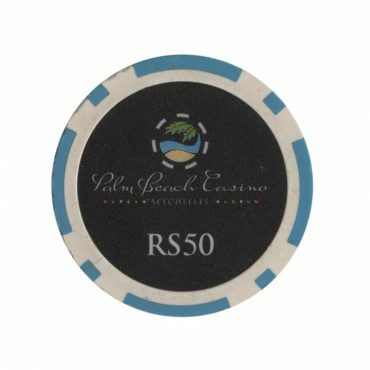 This chip is from Palm Beach casino, Mahe island, Seychelles. 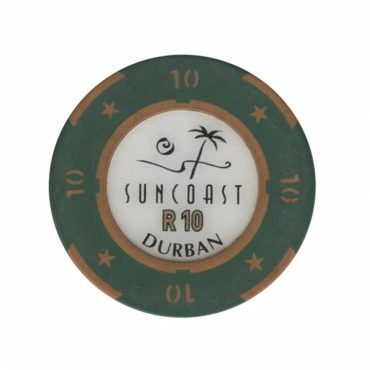 This chip is from Sun Coast casino in Durban city, South Africa. 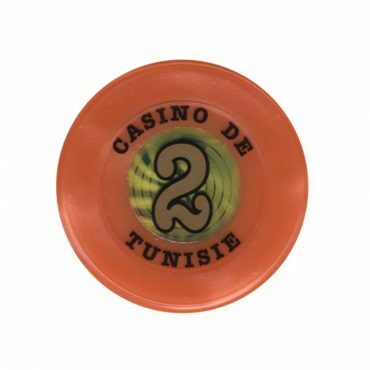 This chip is from Casino De Tunisie in Port El Kantaoui, Tunisia.